With wide open sunny skies and mountains ever-present on the horizon, the landscape of Central Oregon is strikingly gorgeous and ready for bicycle exploration. 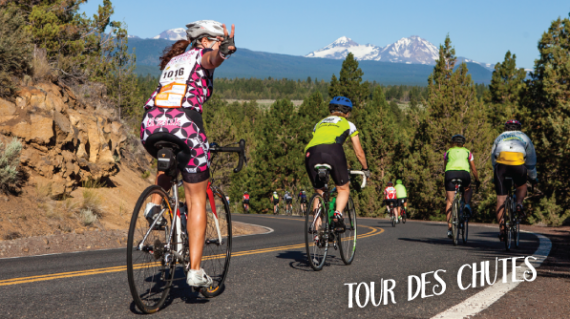 Tour des Chutes is an annual journey along low traffic country roads passing large farm and ranch land with beautiful views of Cascade Peaks and Smith Rock. The terrain offers stunning high desert scenery, a few climbs, plenty of rolling terrain and sidebar entertainment as it stops at an Alpaca ranch. Everyone wants an excuse to spend the weekend in Bend, and we think Tour des Chutes is the perfect one.